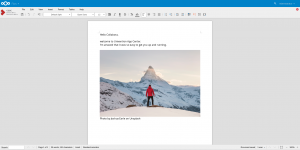 Collabora Productivity, the driving force behind putting LibreOffice in the Cloud, is excited to announce the publication of the Collabora Online Development Edition in the Univention App Center, making managing your own online office suite even easier. 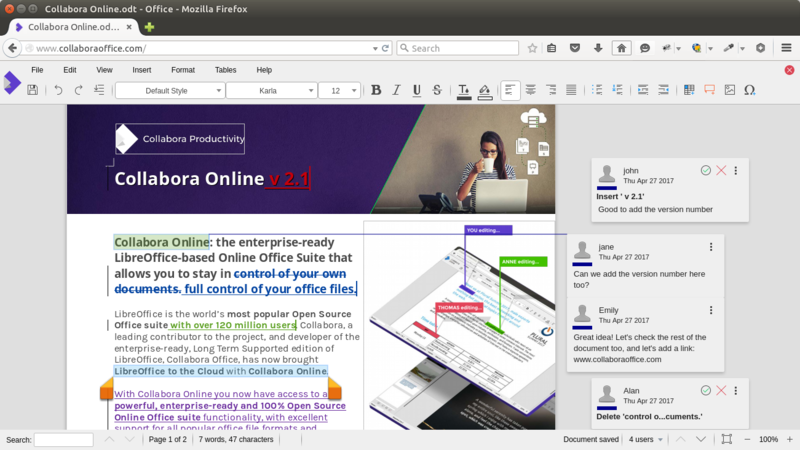 Collabora Online is a powerful LibreOffice-based online office suite that supports all major document, spreadsheet and presentation file formats and which you can integrate into your own infrastructure. Key features include collaborative editing and secure control of your data. Univention Corporate Server (UCS) is a solution to operate and manage mixed IT infrastructures and user identities via a single web interface. It incorporates a marketplace with over 90 enterprise applications that enhance the environment easily. Univention offer users freedom of choice and builds a bridge between various applications and client systems. 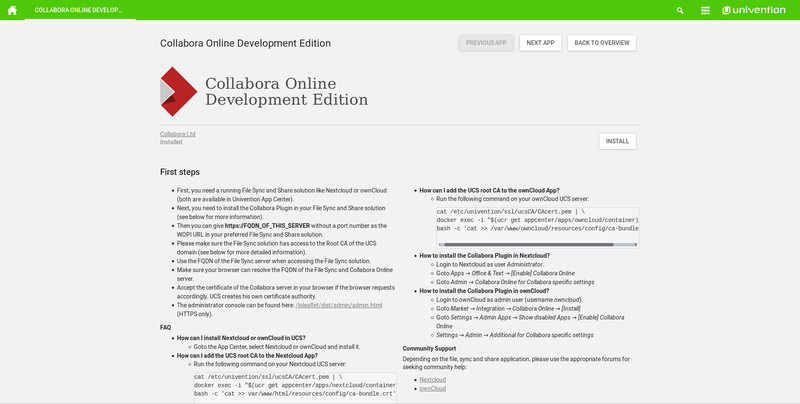 The Collabora Online Development Edition (CODE) app integrates with Nextcloud and ownCloud and requires either app in your UCS environment. 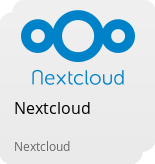 Nextcloud offers self-hosted Enterprise File Sync and Share, bringing together the convenience and ease-of-use of public clouds with the security, privacy and control business needs. ownCloud is the open platform for more productivity and security in digital collaboration, hosted in your data center, on your servers, using your storage. Want to try out Collabora Online in your favourite File Share and Sync solution? Download Univention Corporate Server (UCS) and install the apps today. 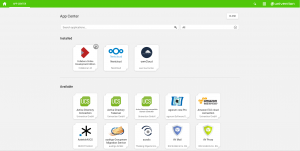 Univention GmbH (www.univention.com) is a leading European manufacturer of open source products for the operation and management of IT infrastructure, headquartered in Bremen. Univention Corporate Server (UCS) can be used as a classic server solution in the cloud or in hybrid scenarios. UCS is an economical alternative to Microsoft server solutions and includes comprehensive Active Directory capabilities and an App Center that integrates and operates more than 90 enterprise solutions into existing IT environments. 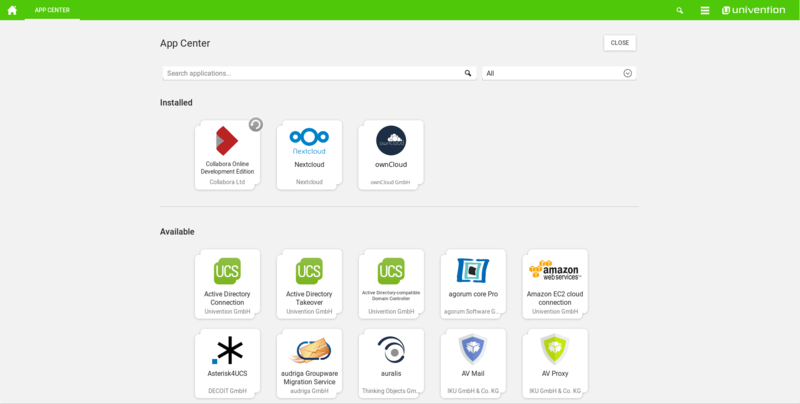 UCS@school is an education and authorization management optimized for education to centrally manage users, services, applications and digital media. Important basic services such as the provision of WLAN, authentication, printing or file storage are integrated. Other solutions such as e-learning, file sharing or e-mail can be easily integrated via the App Center and linked to the management so that students and teachers can sign up to them via single sign-on. Univention Corporate Client (UCC) is a desktop solution for the operation and administration of PCs, notebooks and thin clients in companies, schools and government agencies. The software includes a desktop environment optimized for professional use based on Linux. Univention has a worldwide network of partners and branches in Germany and North America. Organizations that must share confidential data internally and externally rely on ownCloud’s on-premises enterprise Universal File Access platform. Only ownCloud gives IT the visibility and control required to manage sensitive data, preserve business processes and integrate with existing compliant infrastructures while offering users the modern collaboration experience they demand. This is made possible through ownCloud’s open, modular architecture, extreme extensibility and unique federated cloud sharing capabilities. Company headquarters are in Nuremberg, Germany. 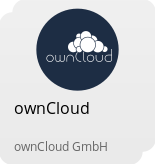 For more information, visit: http://www.owncloud.com. 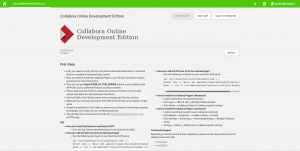 Why should I use Collabora Online in ownCloud? 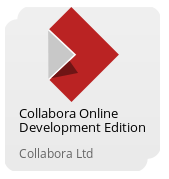 What can I do with the latest edition of Collabora Online? How will it help my company? How can I securely share a office document and work on it with other people at the same time? How can I get a demo of Collabora Online? 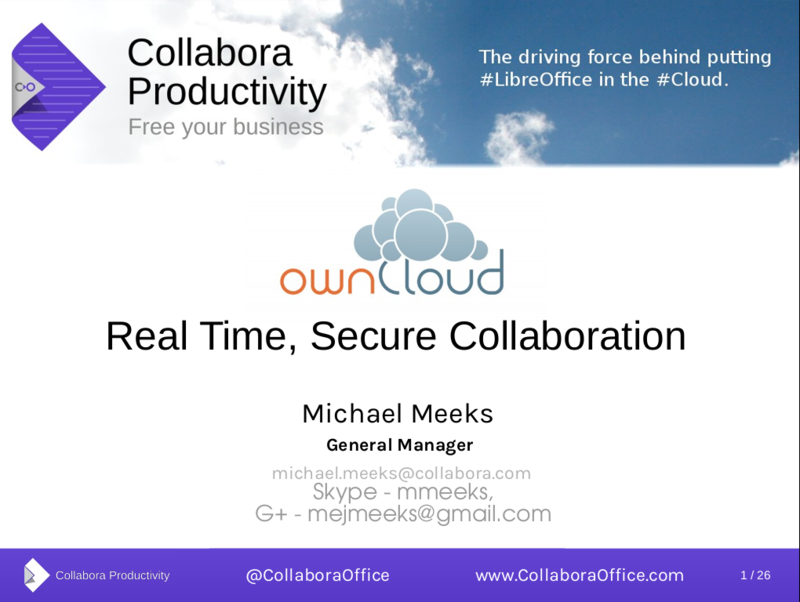 There will be a live demo of Collabora Online in ownCloud too! Sign up for the webinar on June 7, 2017. Sign up for the webinar on June 7, 2017, and see a live demo of Collabora Online 2.1 in ownCloud!